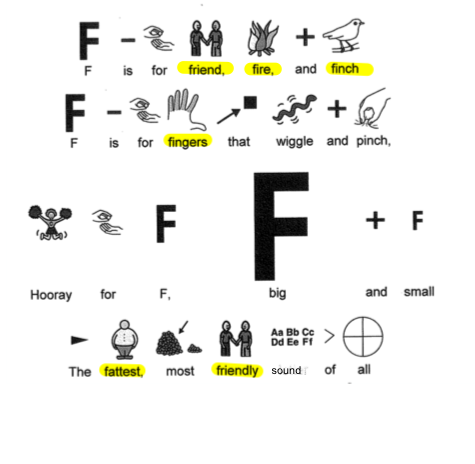 Preschool will have fun with the f-f-f- sound. We call this the “firecracker” sound. Your top teeth “bite” the bottom lip and you expel air to sound like a lit firecracker. Far/near: Pick a far away place in your house and a near you place. Go hide a gold fish in one of the spots while your child hides their eyes. Now tell them if you hid it in the far or near spot and they go get it. Now it’s their turn to hide and YOU close your eyes. Full/empty: Play in a tub with cups. The cup is full of water. Pour it out. Now it’s empty. Do this with sand in the sandbox. Fill a cup with milk; now drink it to empty the cup, etc. Front/back: When you read a book, talk about the front and back of the book. Show the front/back of his/her hand, front door, back door, front of shirt, back of shirt. Few/many: Way too many ideas for me to write. Leave a comment about what you did; the best idea gets a prize. Go fishing. If you can’t do the real thing, use pretzel sticks as the rod, peanut butter, frosting, or anything sticky for the bait, and gold fish in a pile. Tap pretzel rod in bait, then tap on a fish and they stick! You caught a fish. What fun would this be without building language? First pick up a rod, second add the bait, last catch a fish! Face paint: Ask questions what color do you want?, what design?, where on your face? (cheek). Now let them paint your face. Make them ask the questions. Pick flowers, of course talking about the flowers as you pick them. Give them to a neighbor or Friend. Choose 5 of 4 foods (5 raisins, 5 cheerios, 5 M&M’s, 5 marshmallows), mix ‘em up and eat your fun snack.